The glossed lip is back. But it’s different than style and texture that was mega popular in the ’00s. The new era of lip gloss is super buttery, like a balm, but also has rich pigment and satin-y shine. 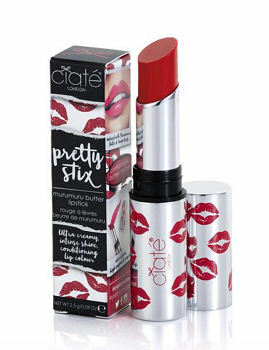 Perhaps no product better demonstrates modernized lip gloss than Ciate’s Pretty Stix. They are packaged in lipstick tubes but with flat and slanted tips, rather than pointed bullets. You can swipe and go without worrying about being mega precise, since the formula is creamy and dewy, thanks to the Murumuru butter. Seriously, the texture is so slick but comfortable. There is tons of color payoff, too. Lips are oh-so-kissable. Color payoff is not sacrificed by shine. Plus, it’s light wear so you won’t feel like you’ve spackled your lips. It has all the smoothing properties of a balm with all the color of lipstick and all the shine of gloss. If you are a lip product lover, this could be your new Holy Grail.